A stroke of luck made it possible for Akbar Hossain and his family to immigrate to the United States. But it was a generous community that helped them to realize their American Dream. 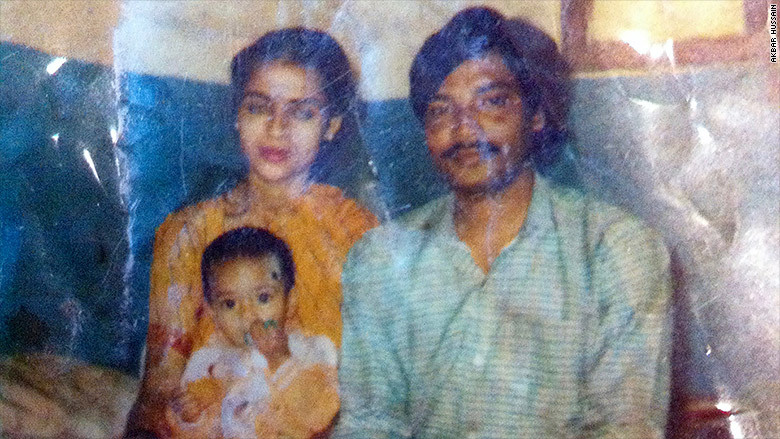 The family had moved from Bangladesh to Saudi Arabia after Hossain's father found work there as a welder. The family -- which included Hossain and his brother and sister -- had been living in Saudi Arabia for six years when their mother entered a "diversity visa" lottery at a kiosk at the mall and won. A few months later, on September 9, 2001, the family landed in the gritty Philadelphia suburb of Norristown, Pennsylvania. "When we first moved to Norristown, my dad was making $5 an hour working at a convenience store from 6 p.m. to 2 a.m. Then, he worked at a factory from 3 a.m. to 11 a.m. and then he would do construction and odd jobs with neighbors on the weekend," Hossain said. 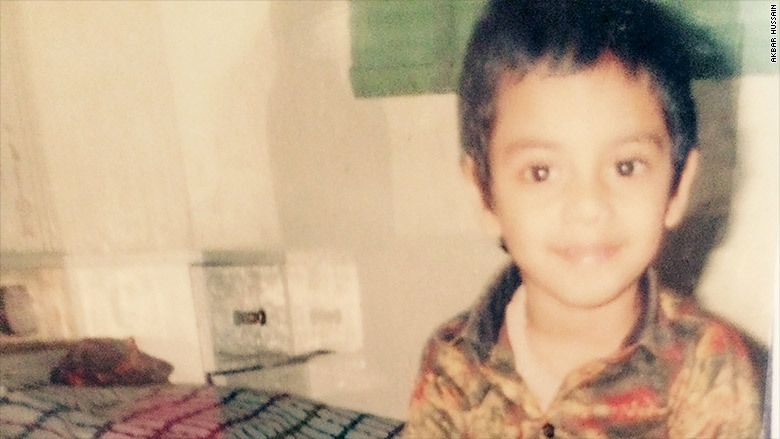 Now, Hossain is 25 and studying law at the University of Pennsylvania. He was recently named a Truman Scholar for college juniors who show leadership potential and have an interest in government or public sector service. And he's also one of 30 recipients of the Paul and Daisy Soros Fellowships for New Americans, which pays up to $90,000 for the graduate educations of immigrants or children of immigrants. With his degree, Hossain hopes to become a legal advocate for immigrants from low-income communities, much like his own family. But his path could have been much different if it weren't for the help of others. A few years after the family had moved to the U.S., Hossain's father tragically died and the family fell into deep poverty. Norristown's community rallied around the family. The local mosque volunteered to pay for his father's funeral and cover the family's rent until Hossain's mother could make enough to take care of it. "All the doctor's appointments and grocery shopping was assisted by the community," he said. Hossain's mother got a job at the same factory where his dad worked, making electrical components for automobiles. And Hossain -- who was in 8th grade at the time -- began working at a gas station after school. "My life was school and then work, then come home at 11:00 and do homework, sleep, wake up, and do it all over again," he said. Despite his schedule, Hossain thrived. He ranked eighth out of 400 in his high school class. But as graduation approached, he thought he should stay home and work in order to help his family instead of pursuing college. Then he was offered a full scholarship at nearby Franklin & Marshall University -- only 60 miles away from home. The decision was a "no brainer," he said. It was Akbar's first time away from home and he was going through culture shock. But most shocking was the lack of diversity on the campus. "I remember parents dropping off their kids in Mercedes, and Audis," he said. Hossain's mother was working on his first day of college so one of the neighbors dropped him off in their beat up 1990 Toyota. Eventually, Hossain grew more comfortable on campus. He played soccer on the school's first club team. And he helped form various organizations, like the school's first Muslim student association, which was supported by the president's office and the school's Hillel chapter. He also worked with the college's Civic Engagement center and the United Way to set up a Volunteer Income Tax Assistance site (VITA) to offer free tax help to the area's low-income residents. 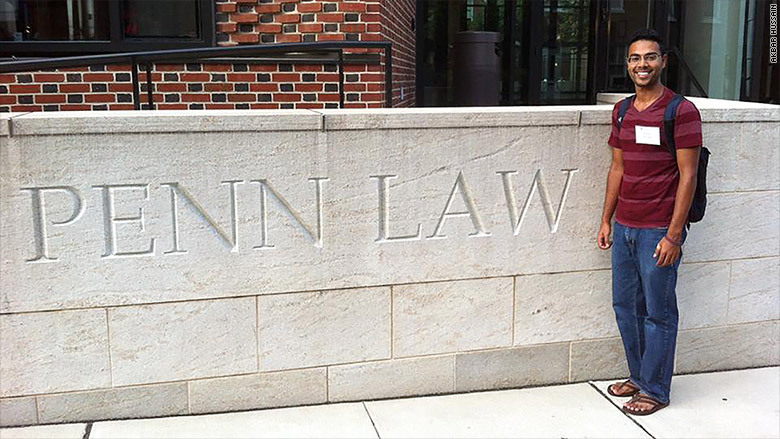 But Hossain's most valuable experience was his involvement with a program that assigned students to help attorneys conduct research and interviews for asylum cases. Hossain was assigned a client from Darfur, who was awaiting trial in the county jail. The client said he was seeking refugee status in the U.S. because he was persecuted and gang raped by police officers in Darfur. He had escaped to Turkey illegally and then came to the U.S. The man, who was 15 years old when he arrived in the U.S., was initially placed in foster care and received medical care for the trauma he underwent in Darfur. But when he turned 18, he was thrown out of foster care and he no longer received the care he needed. Depressed, he eventually turned to drugs and was arrested for possession of marijuana. He was about to be deported when the Pennsylvania Immigration Resource Center took up his case. The man was ultimately granted asylum and now lives in Philadelphia. The experience led Hossain to realize how fortunate he had been. "There I was in the jail cell helping a 23 year-old who could have had some of the same opportunities as I'd had if things for him had gone differently," he said. "I got really lucky and I needed to do something as an immigrant to level the playing field for other immigrants to succeed." Hossain took a year off of school to do an internship at the White House, where he worked in the office of public engagement and developmental affairs. After that he earned school credits while working with the Department of Homeland Security. There he was exposed to the limited resources of the U.S. immigration system. "There just aren't enough attorneys [for asylum seekers. ]," he said. "They aren't afforded legal services unless they can afford to pay or if they're pro bono." Hossain wants to pay it forward. "If we could help more immigrants, we could have a lot more of these immigrant success stories," he said.